Port of Mackay has recorded its third best annual trade performance on record, with more than 2.9 million tonnes handled in 2016-17. NQBP chief executive officer Steve Lewis said the latest trade results represented an increase of 2.7 per cent on the previous year and had been achieved in the face of difficult conditions. “Total trade throughput for the Port of Mackay has remained strong during the 2016-17 financial year despite challenges within the local sugar industry and the effects of Tropical Cyclone Debbie,” Mr Lewis said. “It is a testament to the resilience of our customers and port terminal operators that throughput has not only been maintained but has increased. The two best years for trade at the port were 2012-13 and 2013-14, with 3,265,216 tonnes and 3,073,517 tonnes of goods moved respectively. Chickpeas, molasses and scrap metal were among the star performers in exports last financial year, while imports of fertiliser, magnetite and petroleum products also increased. Break bulk cargo continued to grow, with an increase in inquiries received during the year, and more trade expected over coming months. “An additional 8000 tonnes of equipment was transferred through the port over the past 12 months, reflecting the focus we have to attract this type of trade to the port,” Mr Lewis said. NQBP continues to actively target break bulk opportunities given the Port of Mackay’s close proximity to the major regional coal mining and agricultural areas, and the major mining support services at Paget. 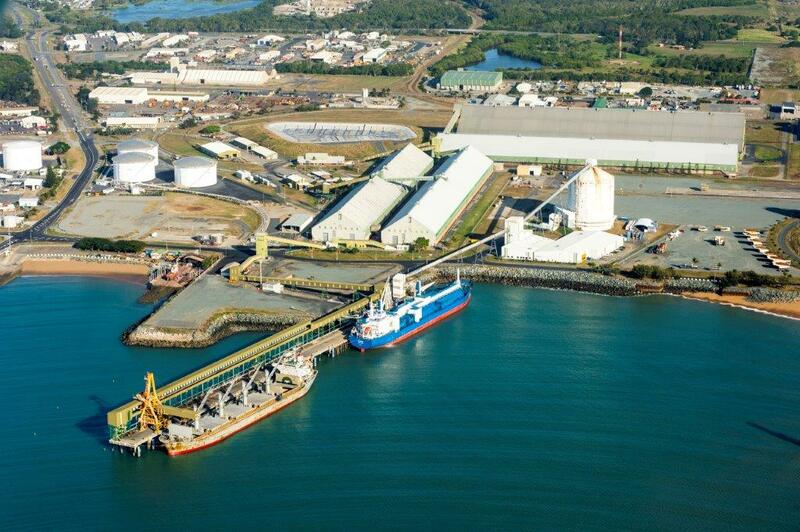 NSS commissioned its QAP 1.1 (Quarantine Approved Premises) facility in Mackay in late 2016 and has since handled about 13,000 cubic metres of break bulk mining and project-related cargoes through the port. “As a regional Queensland business employing locally, our hope is that NSS’s facility and licensing arrangements continue to increase trade through the port and rejuvenate industry in the region,” NSS Commercial manager Mitchell Smith said. Since commissioning of our Mackay QAP 1.1 facility in late 2016, NSS has handled approximately 13,000 cubic metres of break bulk mining and project related cargoes through the port. As a regional Queensland business employing locally, our hope is that NSS’s facility and licencing arrangements continue to increase trade through the port and rejuvenate industry in the region.